If you want a fun and busy urban getaway for the winter, you can choose now from some of the top Las Vegas hotel deals that can be found on the market with prices from $59 a night. If you have a bigger budget, you can book for example the Encore at Wynn Las Vegas luxury hotel starting at $209 nightly. But among other offers you can see the New York New York Casino for $59, Trump International Hotel from $109, Hard Rock Hotel and Casino for $60 and a lot more great deals. If you want to stay at one of these hotels and also for these low prices, you better hurry up and book before everything is sold out! 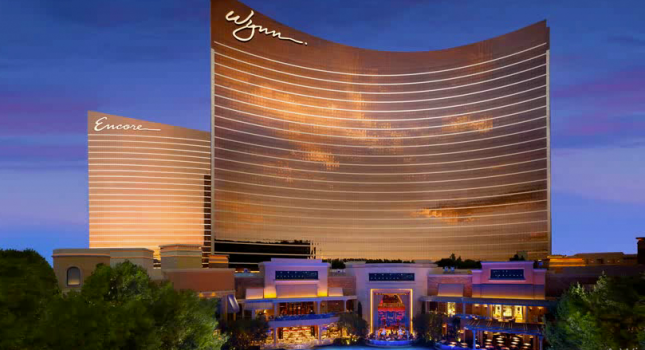 The Encore at Wynn is on of the great luxury hotels in Las Vegas and it is available now from $209 per night. If you book the hotel here and now, you will also get a $25 daily credit voucher at the resort that you can spend on anything you want. This Las Vegas hotel has everything you need for the perfect getaway: several award winning restaurants, a huge and fabulous casino, regular shows and other entertainment options, a selection of high end brand shops, pools, spa,beauty salon, even a golf course, state of the art fitness centers and a lot of other amenities. Search in the box and you may find other, even better, rates for the Encore at Wynn or other Las Vegas hotel deals that you might like. Select all the travel dates that you want and then add your travel dates to be able to see the rates of lots of other hotels and resorts in the Fabulous City. This entry was posted on Tuesday, December 27th, 2016 at 5:41 pm and is filed under Hotel Deals, Top Deals. You can follow any responses to this entry through the RSS 2.0 feed. You can leave a response, or trackback from your own site.